David Guetta sparked outrage among animal rights campaigners after bringing a horse into his set in Ibiza’s Pacha nightclub. The world’s famous DJ has agreed never to bring a horse on stage with him again, after an almost 10,000-strong petition was launched by furious animal rights campaigners. 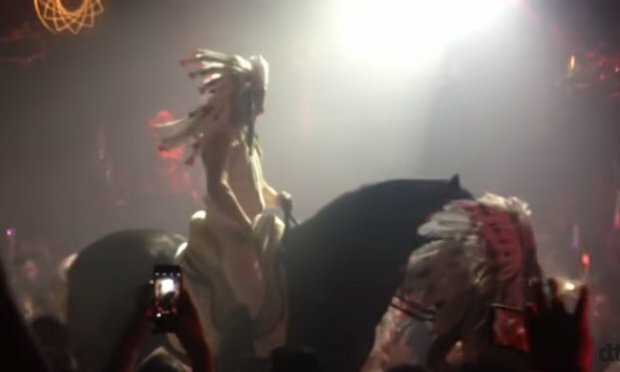 A petition was launched, named Stop DAVID GUETTA to rent a horse for his shows in PACHA IBIZA, after he brought the animal on stage at around 4AM. “The horse has to enter the big PACHA hall at 4 in the morning, where a huge crowd of people, drunk and drugged, screaming and sweating, are celebrating their party night. The noise and smell is unbearable for most people, but even more for an animal,” the petition read. The petition goes on to claim that, according to insiders, the animal was previously injured on its back and two legs. It has garnered almost 10,000 signatures, and was backed by fellow DJ Deadmau5. A video of the set shows the horse stood still on stage as the crowd parties around it.